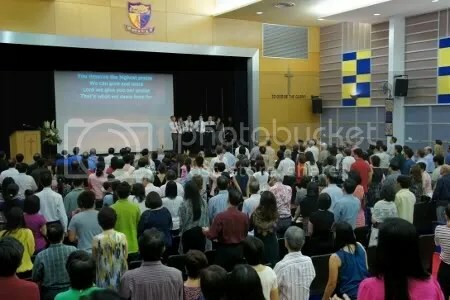 Holland Village Methodist Church was constituted today! We were originally a Preaching Point set up by Barker Road Methodist Church in 2007. Very proud to be one of the founding members of the church. Adrian was in the worship team for the inaugural service today. The colour blue represents our water baptism whereby we are a forgiven people, and the living water Jesus offers to the world. The colour red represents both the blood of Christ by which we have become a people of God, and our baptism of fire in the Holy Spirit who empowers us in our life and witness. The uneven, odd and different pieces of mosaic reminds us that the church, the body of Christ, is made up of, and embraces, persons of all races, languages, nationalities, and personalities. The way they fit together reflects God’s design for the church, where every person counts because we bring our different spiritual gifts, and efforts, to present Christ more fully by our life and service, expressed through our love for God, love for one another in this community of faith, and love for others beyond. 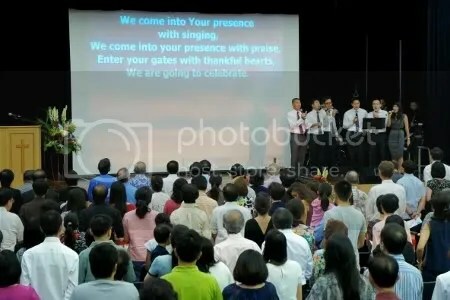 This entry was posted in Uncategorized and tagged church on July 8, 2012 by delphine. Hi Adrian, we have not seen you for a while. Missing your leading. Hi! We’ve been away on holiday!